Our services are based on a standardised and certified quality and environment management programme, which we use to derive our quality guarantee. 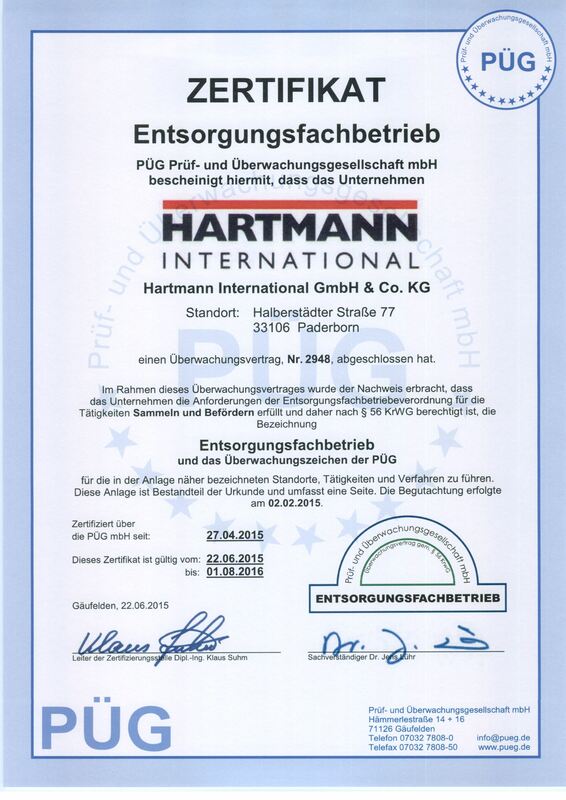 With operating procedures certified by the German Technical Inspection Agency (Technischer Überwachungsverein or TÜV), we can guarantee you consistent quality and ensure professional cooperation. 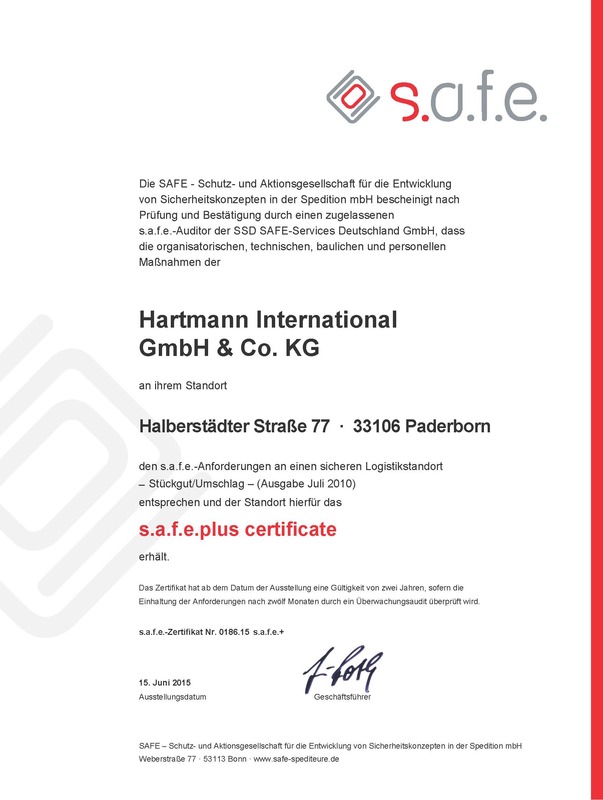 However, we do not simply sit back and relax with our numerous certifications, instead we use our continuous improvement processes to constantly work on finding innovative solutions for the future. We think and act today in the interests of subsequent generations. The environmental impact of our processes is just as important to us, which is why we examine them subject to the DIN ISO 14001 standard. We are very proud to be one of the first four medium-sized companies in Germany to be awarded this environmental certificate. The installation of more than 107,000 sqft of photovoltaic panels or the regular driver training sessions aimed at reducing fuel consumption are merely some of the activities that represent our Green Logistics strategy. 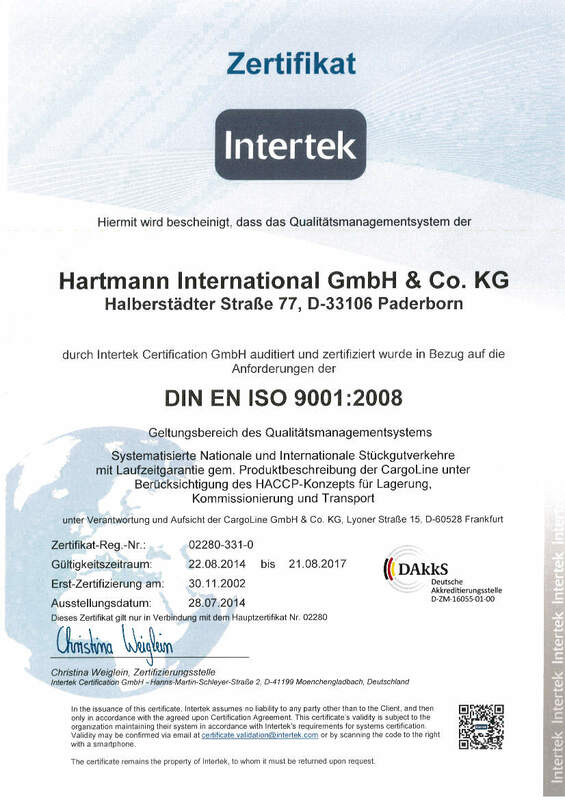 Of course, the quality of our processes is permanently being checked, optimised, documented and finally certified through numerous audits. 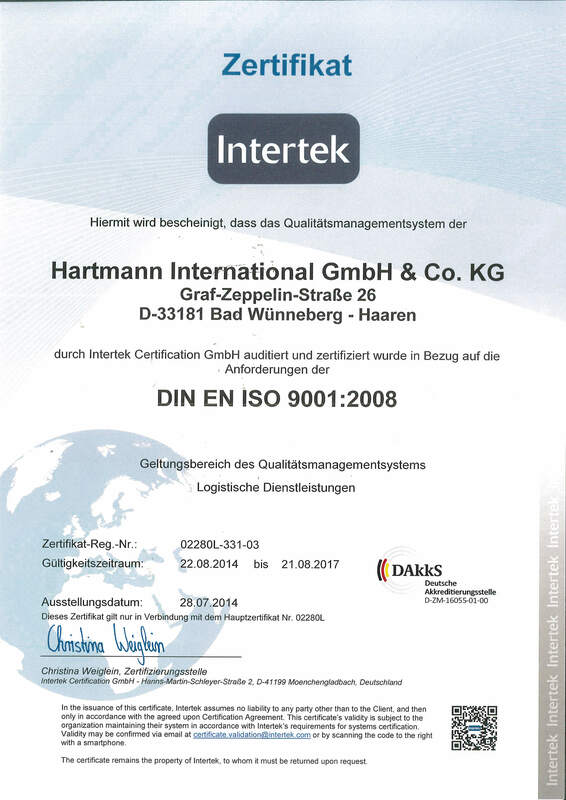 But at the end of the day it is us, the people behind Hartmann International, who are responsible for our clients. Our company slogan “We take care of you” is lived to the full. After all, we want to impress our business partners with our services. Click through our numerous certifications.